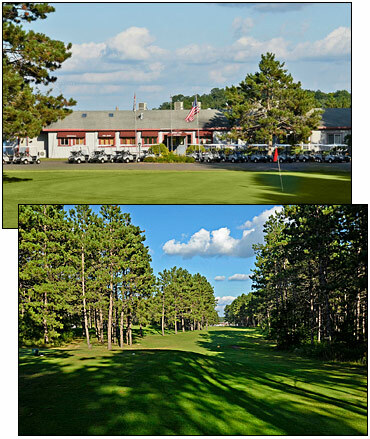 Spider Lake Golf Resort is located 15 miles east of Hayward, Wisconsin off Highway 77. Travel I-94 west to Eau Claire, Hwy 53 north to Hwy 63. Continue north into Hayward, turn east onto Highway 77. Travel 15 miles east on Hwy 77. Left (north) on Murphy Blvd for 2 miles. Right on Elaine Drive which dead ends in parking lot of Spider Lake Golf Resort. Travel Hwy 63 north from Baldwin to Hayward. Travel 15 miles east on Hwy 77. Left (north) on Murphy Blvd for 2 miles. Right on Elaine Drive which dead ends in parking lot of Spider Lake Golf Resort. Travel 15 miles east on Hwy 77. Left (north) on Murphy Blvd for 2 miles. Right on Elaine Drive which dead ends in parking lot of Spider Lake Golf Resort. Travel west on US Hwy 2. Turn south (left) on Hwy 63 approximately 50 miles to Hayward. Turn east (left) onto Hwy 77. Travel 15 miles east on Hwy 77. Left (north) on Murphy Blvd for 2 miles. Right on Elaine Drive which dead ends in parking lot of Spider Lake Golf Resort. Take Telemark Road to Cty M. Turn left (west) and travel 3 miles to Cable, WI. Left (south) on Hwy 63. Travel south 10 miles on Hwy 63 to Seeley. Turn left (east) onto Cty OO. Travel approximately 8 miles (Cty OO turns into Clear Lake Road). At stop sign at intersection of Clear Lake Road and Murphy Road turn right onto Murphy Blvd. Take quick left onto Elaine Drive which dead ends at parking lot of Spider Lake Golf Resort.